RV Shows can be a fun but overwhelming experience. We created this guide and cheat sheet to help you remember what to look for when you are checking out all of those RVs and to help you remember what you saw by the time you get home. When we started thinking about the possibility of full-time RVing, we started attending local RV shows to get a feel for what was available. We only had experience with our little pop-up and didn’t have a clue what type of RV we wanted to buy. Going to the RV shows let us see a bunch of different types of RVs and brands in one place and take a few minutes to make ourselves at home. We got a feel for the kind of layout we liked and what might work for us. We even made a trip to the big Hershey, PA show to have a broader experience! The shows helped us narrow down our choices and helped us down the path to our motorhome life. We know RV shows are on a lot of people’s must-do lists this time of year and we thought we’d help out. The shows were helpful for us, but they can also be a lot of work. We put together some tips that helped us get through the RV shows with our sanity still intact and our gathered info at our fingertips. We also created a cheat sheet you can carry with you to the RV show and mark down the pertinent information for each RV you like. This way, when you get home you won’t be wondering if that brown RV had enough storage for you. This should make your shopping process MUCH easier. 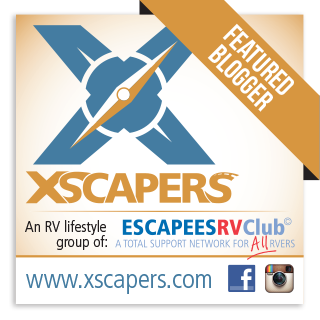 Get Your RV Show Cheat Sheet and Stay in the Loop! If you can, find out which dealers are coming to the show and find out if they are bringing models in which you are interested. Get a map of the show and find RVs you are looking for and make sure to hit those first. You don’t have to pick up every brochure at the show. They will get heavy by the end and almost all of that information can be easily found online on the manufacturers’ websites. Keep a running list of your top 3 RVs. Constantly update the list as you find RVs that are better suited for you than the ones in your top 3. Remember what type of camping you want to do. This lifestyle is different than living in a house. For instance, features that may make sense in a house, like a residential fridge, can make it a bit more difficult to boondock. Take a picture of the sales sheet or model sticker on the RV before you start taking pictures of the RV. This will help you to keep track of which pictures go with which RVs. They will all start to blur together after a while. Look at the layout of the RV to see if the living spaces are still accessible with the slides in. Can you get to the bathroom, refrigerator, bedroom etc? Save the million dollar luxury RVs for the end of the show after you have seen your prospects. Unless you came for the million dollar RVs! 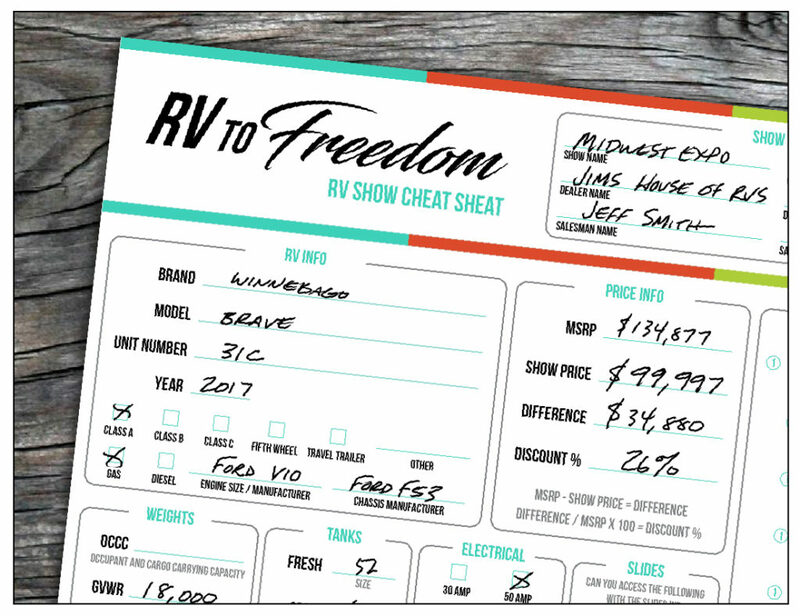 Print out multiple copies of our RV Show Cheat Sheet so you can take notes while you walk through the RVs. It will also help to remind you to check for the features that are important to you. 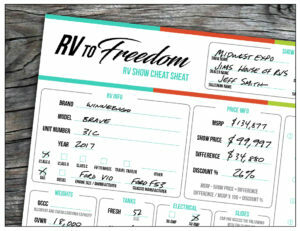 Get your copy of the RV to Freedom – RV Show Cheat Sheet. Most of all don’t feel pressured to buy at the show. Those show prices are normal and available all of the time. All of these RVs came off of local dealers’ lots and they will all go back there after the show. If the one you are looking at gets sold, just be patient. They are all mass-produced, so you will find another one. 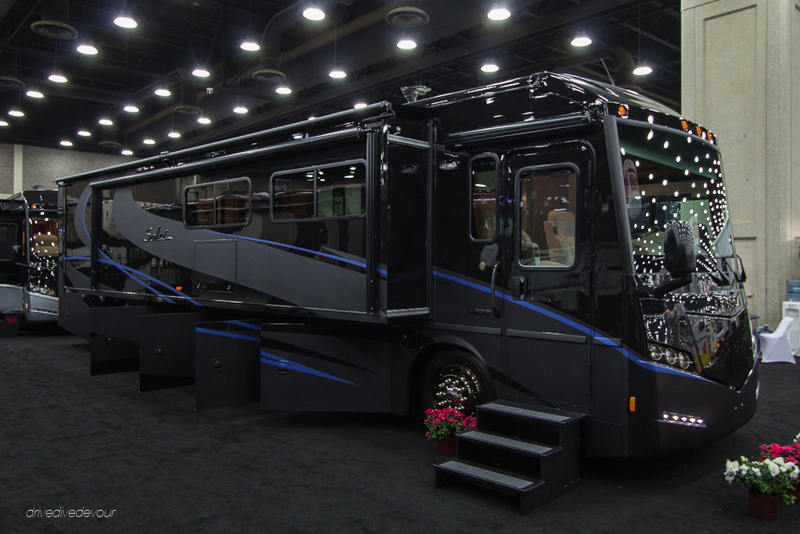 Even if you aren’t planning on buying a new RV, it can be helpful to attend RV shows to see many different types of RVs and floor plans all in one place. This can help you figure out what you like and don’t like. So glad I found this! We are headed to our first RV shows this weekend and were hoping to buy because someone told us they are willing to cut you a deal so they don’t have to drive them back. Now after reading this, I question if there is any truth to that… We already know what we want, so is there any point in going if there’s no real reason to buy there? P.S. We have been PADI certified for a year and are yet to use it (aside from getting certified in Homestead Crater)! Can’t wait to look at all the options we will have once we are full-timers. Love your blog! Thanks. Don’t be pressured to buy at the show. We actually prefer to buy used rather than new anyway since new RVs tend to have a bunch of shakedown issues. We would rather let someone else take the depreciation hit and do all the warranty hassles. All of the RVs at the show come from local dealers and they will all go back to the local dealer. Even if you bought it at a show they will still take it back to clean it up and prep it for delivery so it’s going back either way. I wouldn’t want to take one straight home from a show anyway after hundreds of people have gone through it and pushed all the buttons and slammed all the doors. Don’t let them pressure you. It’s always a buyers market with RVs. That being said if multiple people have what you want then you can talk to each of them and try to see who’s going to give you the better deal. -Hope you get what you are looking for and we’ll see you on the road! Could you point me to an article or some description of your tech setup? I’m concerned about internet capabilities, television options & general modern conveniences that might get looked over until they’re made to be sacrificed. I stream constantly, and I would like to be able to have gaming consoles work properly, know what cable providers work best, and general tips. We don’t have a post on our blog right now concerning technology. Our set up is fairly simple. We have an unlimited Verizon hotspot that we use for most everything. We also have At&T phones that we can tether for use when we are somewhere that Verizon doesn’t pick up very well. For TV we watch most things on netflix, hulu, amazon prime or over the Antenna. 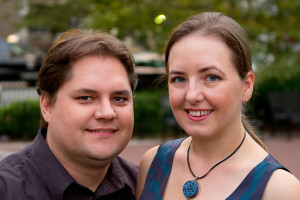 Also checkout RVMobileInternet.com and their Facebook group Internet For Rvers. They are the go to source for RV Internet technology. They regularly provide information on new cell carrier plans and they test antennas, boosters etc.